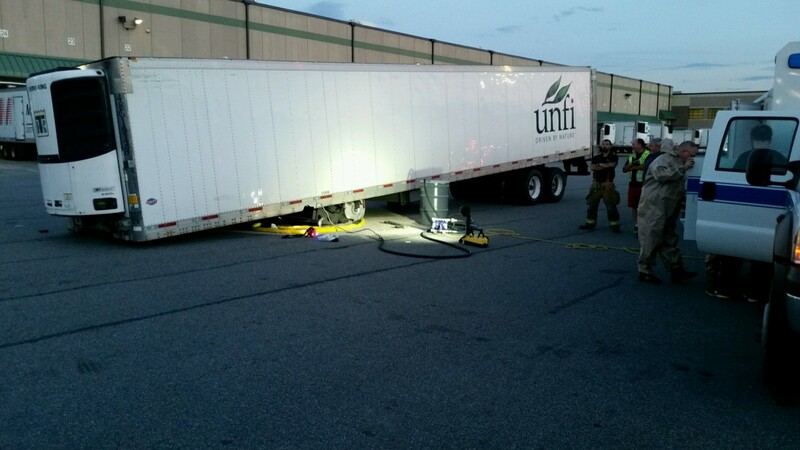 On July 12th at approximately 19:42hrs Maybrook Firefighters were alerted to a fuel spill at UNFI Warehouse in our Industrial part of our district on Neelytown Rd. 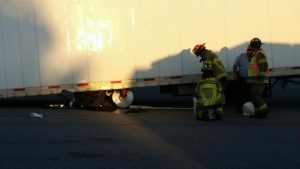 in Montgomery. 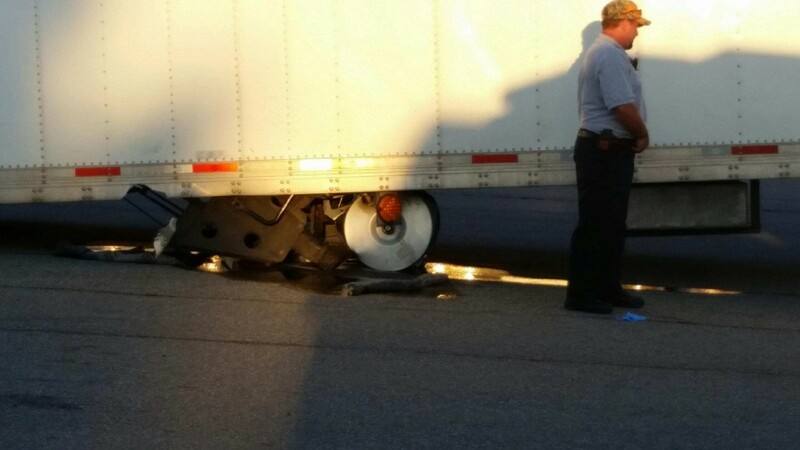 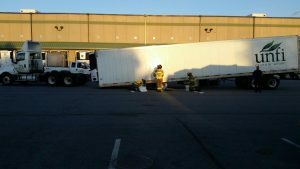 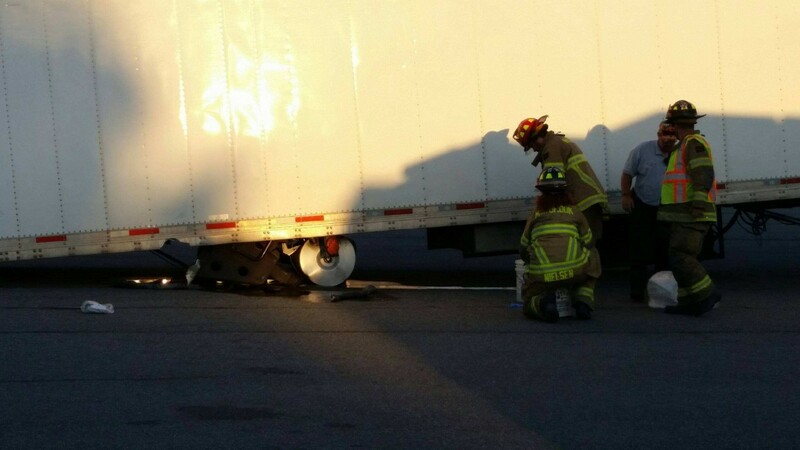 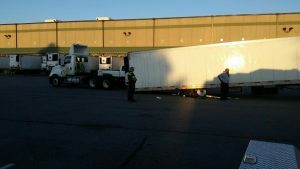 Upon arrival units found a refrigerated trailer that was dehitched without the landing gears down in which fuel tanks for the reefer were crushed and leaking diesel fuel on the ground. 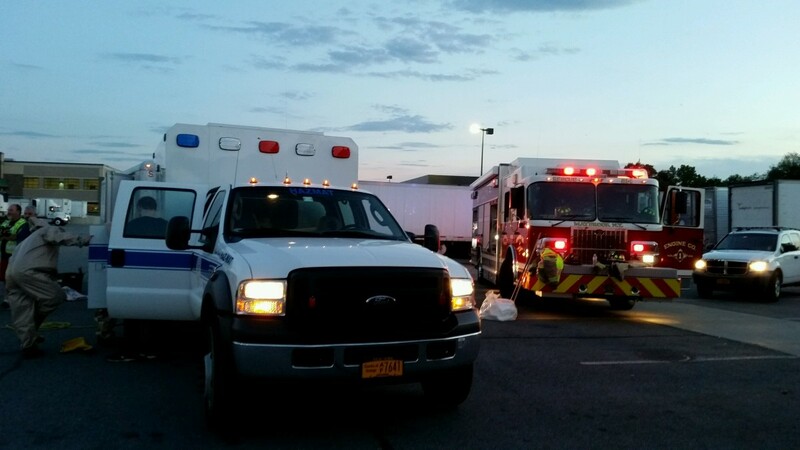 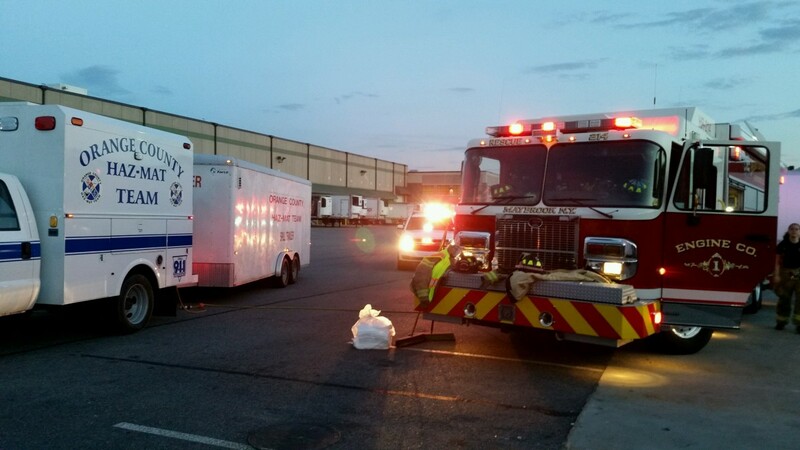 Both Car 2 and 3 requested from OC911 for the Orange County Haz-Mat Team be activated for the County Spill Trailer. 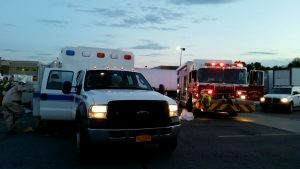 Crews from both Maybrook and the Haz-Mat team were able to contain the spill and mitigate any further problems.